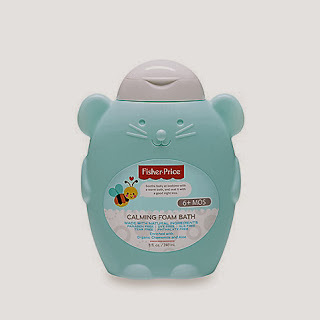 Did you know Fisher-Price makes bath products? Yes, yes they do. I've been able to test a couple products from this line and really liked them all. 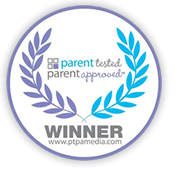 The bath line is also a recent PTPA Winner! The Calming Foam Bath was a lot of fun - it's easy to pour and has a great scent. Isabelle was fascinated with the bubbles in her bath water and had a great time holding the bubbles and squishing them in her hands! 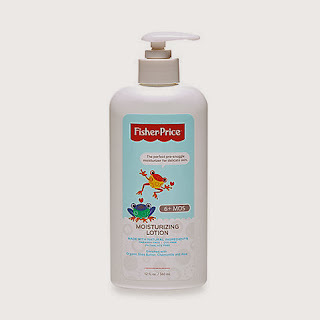 We use this product the most - it's a special treat for bath time. Of course, the Infant Moisturizing Lotion is also worth mentioning. It has a nice, soft scent and easily absorbs into the body -- perfect for after a bath. Simply Suppa readers have the chance to win a full line-up of Bath and Body products (9 in total) to 1 lucky Canadian winner! Please fill out the Rafflecopter below! The laughter that comes with bath time is surely to be cherished! I love it! locking the door and not letting the kids in. Oh wait I bet you mean kids bath time. ummmmm the fact that after all the splashing, tears and clean up, they smell pretty and love to cuddle all wrapped in their towels. I love making my son laugh and giggle as he plays in the bubbles. I love watching my son splash around! Bubbles! That what I love. I like bath time with baby because it is full of giggles and enjoyment. Water is so calming. I love the joy and excitement easily visible on my little guys' faces as they splash in the bath! I love when my little guys laugh as they splash around! Laughter & Fun & Suds! The laughing and playing for sure! I love the fun of bath time! We always laugh and play games and talk about our days, it's my favorite time of the day during the weekdays.